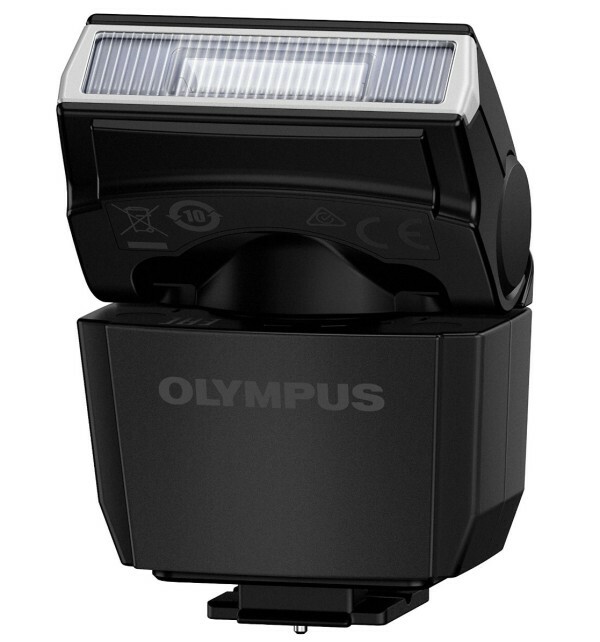 The Olympus FL-LM3 is a small flash for the OM-D E-M5 II that tilts and swivels to bounce off the ceiling or wall. This is one of the first times I have seen a camera that has bounce lighting capabilities “out of the box” without you needing to add an an external device. Built-in camera flashes tend to be a bit rubbish. As well as being low on power, they usually only point straight forward, which is ideal for a “deer in the headlights” effect or some mild fill lighting but not versatile enough for much else. To get softer or more directional light you need to invest in an external flashgun, which can mean a lot of beginner photographers don’t learn about lighting techniques from the outset. The FL-LM3 has a guide number of 9 metres; it tilts vertically 90° and 180° left and right. All the settings are controlled from the camera including first and second curtain sync and slow sync modes. Like the new Pentax AF201FG, the Olympus FL-LM3 is “dust and splash proof”, but unlike that flash, this one doesn’t take any batteries of its own; instead it draws its power directly from the camera. Ideal for keeping size and weight down, but it also means you can’t use the FL-LM3 with any camera other than the new OM-D EM-5 Mark II. Aside from its rotating head, the FL-LM3 will suffer many of the shortfalls of its bundled or built-in flash ilk. For something a bit more advanced while keeping form factor small, have a read of our Nissin i40 for Micro Four Thirds review. 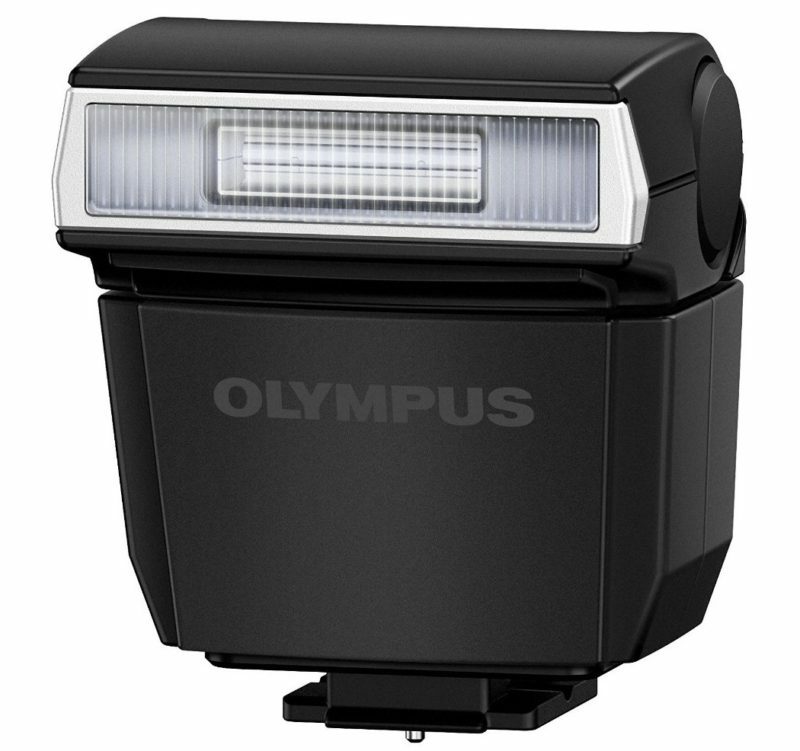 If you want to buy one separately (though not many people would) the Olympus FL-LM3 is $79 from B&H Photo and Adorama. 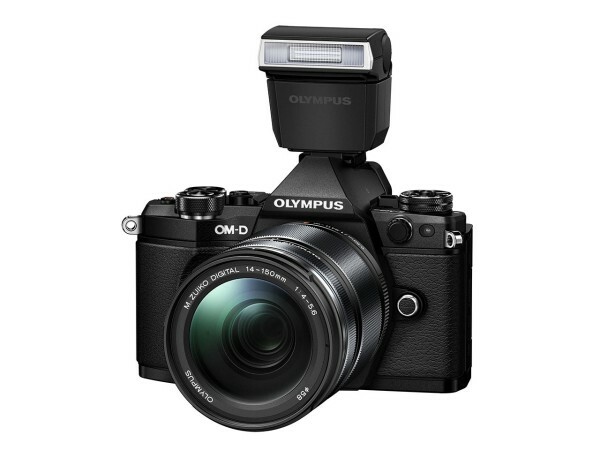 It comes bundled with every new Olympus OM-D E-M5 Mark II mirrorless camera, which starts at $1,099 without a lens.